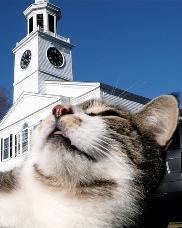 Its whiskers tickling my matins cold. I prayed it would let me wake on just one more bowl. And I rose down to find the day had taken me. Proceeding up for salvation below. I shod my gloves and joined the stream.